I am an Asst. Project Scientist at Swartz Center for Computational Neurocience, at UCSD. 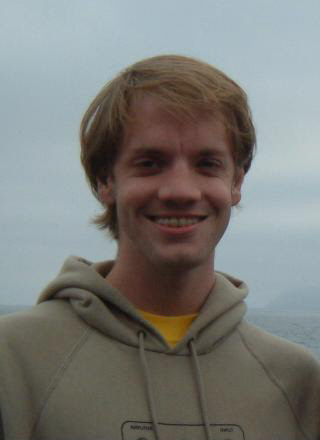 I work primarily with Scott Makeig on advanced signal processing algorithms for the analysis of EEG data. Amica (currently version amica15) can be downloaded here. J. A. Palmer, S. Makeig, and K. Kreutz-Delgado, An EM Algorithm for Maximum Likelihood Estimation of Barndorff-Nielsen's Generalized Hyperbolic Distribution, IEEE Workshop on Statistical Signal Processing, La Palma, Mallorca, 2016. J. A. Palmer, S. Makeig, and K. Kreutz-Delgado, A Generalized Multivariate Logistic Model and EM Algorithm based on the Normal Variance Mean Mixture Representation, IEEE Workshop on Statistical Signal Processing, La Palma, Mallorca, 2016. J. A. Palmer, S. Makeig, and K. Kreutz-Delgado, The Linear Process Mixture Model, IEEE Intl Workshop on Machine Learning for Signal Processing, Southampton, UK, Sept 24, 2014. J. A. Palmer and S. Makeig, Contrast Functions for Independent Subspace Analysis, Proceedings of the 10th International Conference on Latent Variable Analysis and Independent Component Analysis, Edited by Ari Yereador et al., Lecture Notes in Computer Science, Springer, 2012. J. A. Palmer, S. Makeig, and K. Kreutz-Delgado, Strong Sub- and Super-Gaussianity, Proceedings of the 9th International Conference on Latent Variable Analysis and Independent Component Analysis, Edited by Remi Gribonval and Emmanuel Vincent, Lecture Notes in Computer Science, Springer, 2010. J. A. Palmer, K. Kreutz-Delgado, and S. Makeig, Probabilistic Formulation of Independent Vector Analysis using Complex Gaussian Scale Mixtures, ICA 2009. J. A. Palmer, S. Makeig, and K. Kreutz-Delgado, A Complex Cross-spectral Distribution Model using Normal Variance Mean Mixtures, ICASSP 2009. J. A. Palmer, K. Kreutz-Delgado, and S. Makeig, Sparse Independent Vector Analysis: Dictionary Design using a fast ICA/IVA Mixture Model, 2008 SIAM Conference on Imaging Science, San Diego, CA, July 7, 2008. J. A. Palmer, K. Kreutz-Delgado, and S. Makeig, Super-Gaussian Mixture Source Model for ICA, Proceedings of the 6th International Symposium on Independent Component Analysis, Edited by Justinian Rosca, Deniz Erdogmus, Jose C. Principe and Simon Haykin, Lecture Notes in Computer Science, Springer, 2006. J. A. Palmer, K. Kreutz-Delgado, D. P. Wipf, and B. D. Rao, Variational EM Algorithms for Non-Gaussian Latent Variable Models, Advances in Neural Information Processing Systems 18, Proceedings of the 2005 Conference, Edited by Yair Weiss, Bernhard Scholkopf and John Platt, MIT Press, 2006. J. A. Palmer and K. Kreutz-Delgado, A General Framework for Component Estimation, Proceedings of the 4th International Symposium on Independent Component Analysis, 2003. J. A. Palmer and K. Kreutz-Delgado, A Globally Convergent Algorithm for MAP Estimation with Non-Gaussian Priors, Proceedings of the 36th Asilomar Conference on Signals and Systems, 2002. J. A. Palmer, K. Kreutz-Delgado, and S. Makeig, AMICA: An Adaptive Mixture of Independent Component Analyzers with Shared Components, (in preparation). J. A. Palmer, K. Kreutz-Delgado, and S. Makeig, Dependency Models based on Generalized Gaussian Scale Mixtures and Normal Variance Mean Mixtures (in preparation). - O. Barndorff-Nielsen, J. Kent, and M. Sorensen., Normal Variance-Mean Mixtures and z Distributions. - T. Gneiting, Normal Scale Mixtures and Dual Probability Densities. J. A. Palmer, Solution of Differential Equations of Hypergeometric Type, (in preparation). J. A. Palmer, Differential Criteria for Positive Definiteness, (in preparation). J. A. Palmer, K. Kreutz-Delgado, and S. Makeig, Mixture Convolutive Independent Component Analysis, Technical Report, UCSD, 2006. J. A. Palmer, K. Kreutz-Delgado, and S. Makeig, An Independent Component Analysis Mixture Model with Adaptive Source Densities, Technical Report, UCSD, 2006. J. A. Palmer and K. Kreutz-Delgado, Generalized Kernel Classification and Regression. Technical Report, UCSD, 2004. J. A. Palmer, Relatve Convexity, Technical Report, UCSD, 2003. J. A. Palmer, Variational and Scale Mixture Representations of Non-Gaussian Densities for Estimation in the Bayesian Linear Model: Sparse Coding, Independent Component Analysis, and Minimum Entropy Segmentation, Ph.D. Thesis, University of California San Diego, 2006. This page was last updated on 05/15/2016.